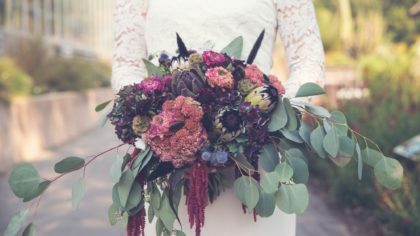 Is there such a thing as too many flowers at a wedding? 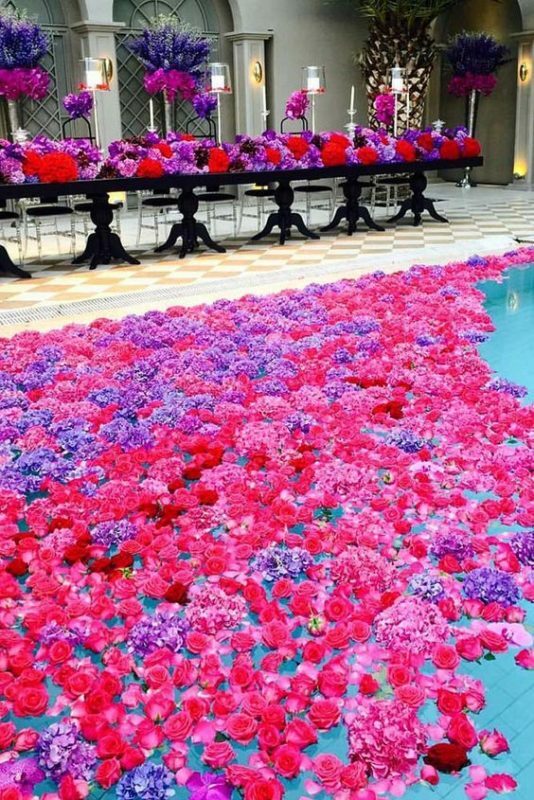 Maybe for some people, but as spring has officially sprung we are feeling the flower power! 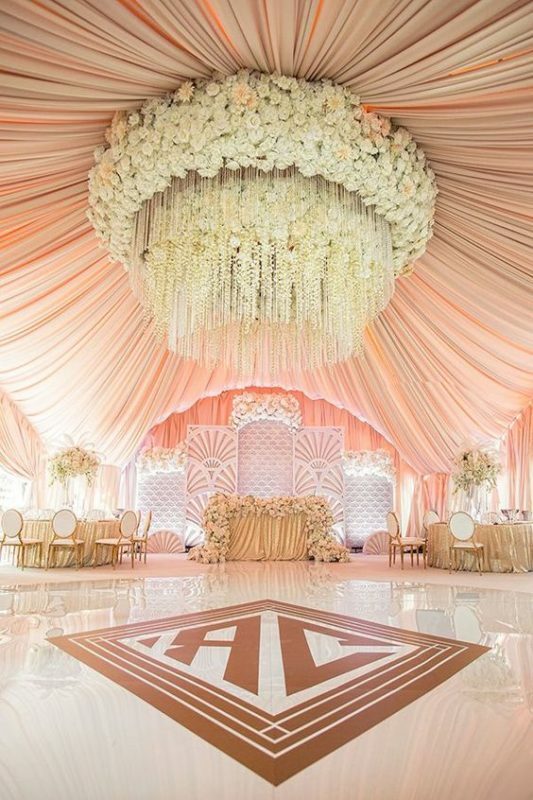 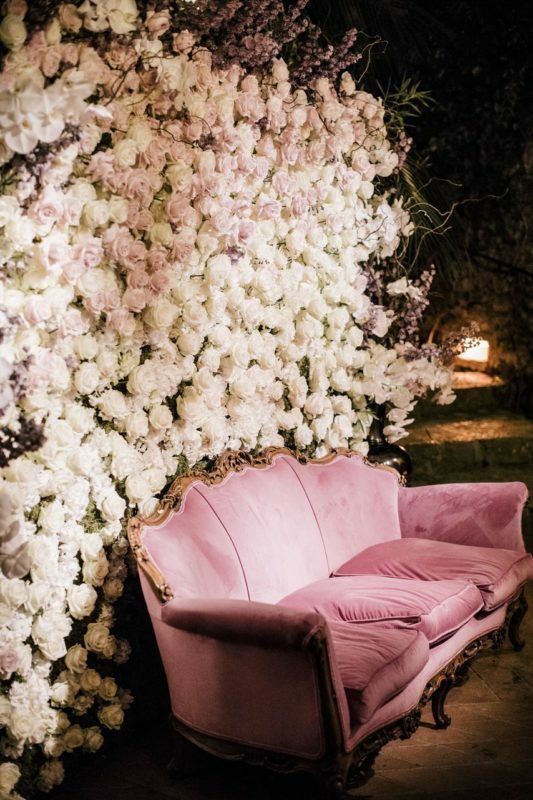 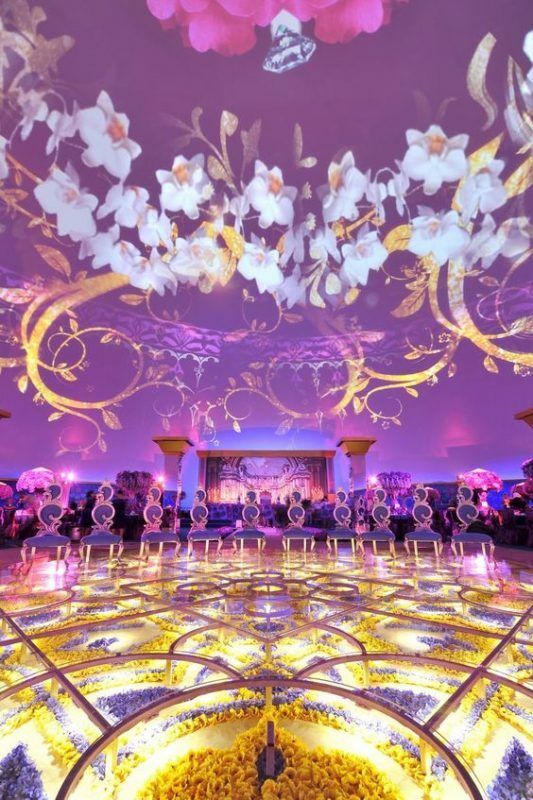 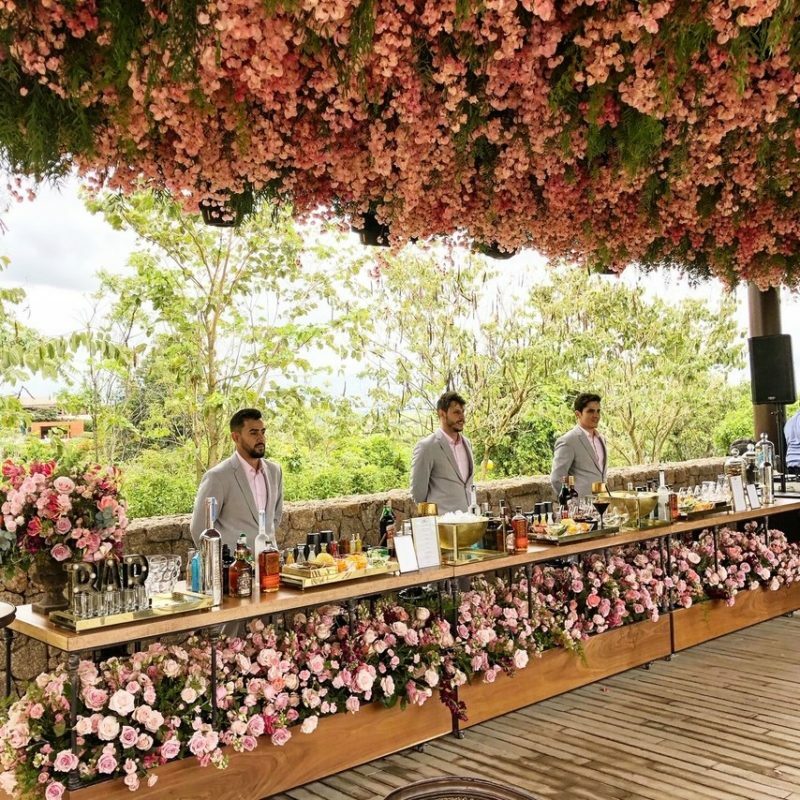 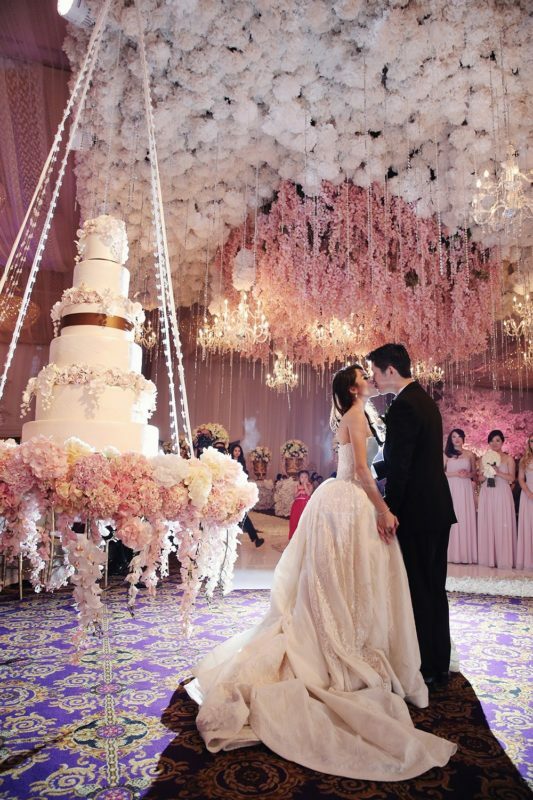 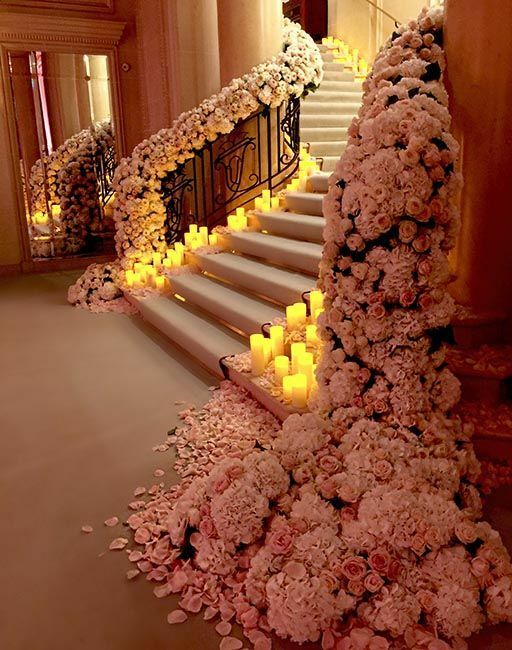 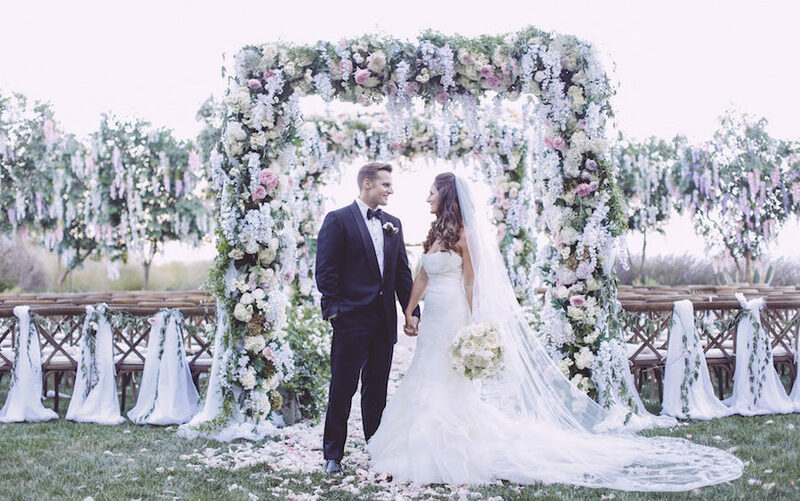 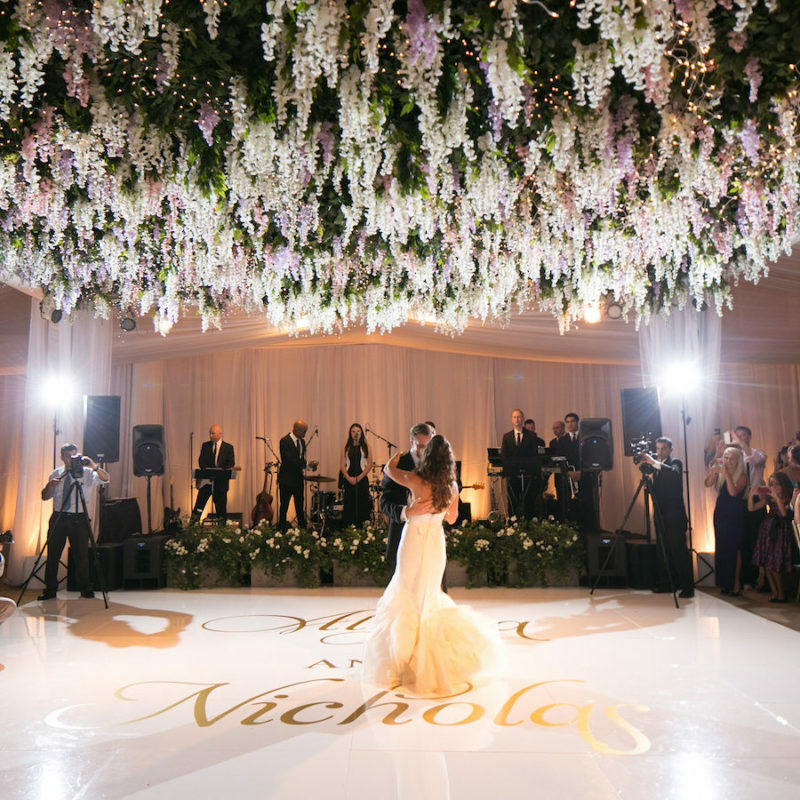 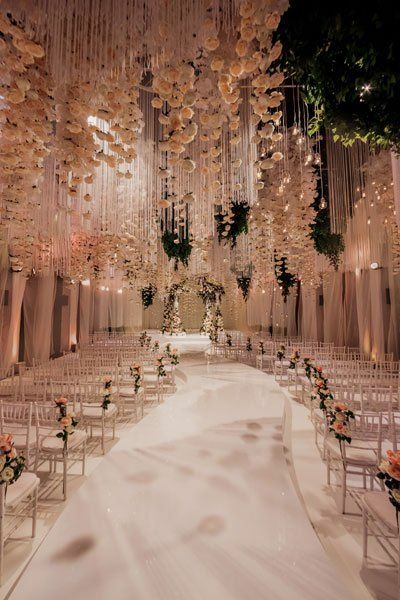 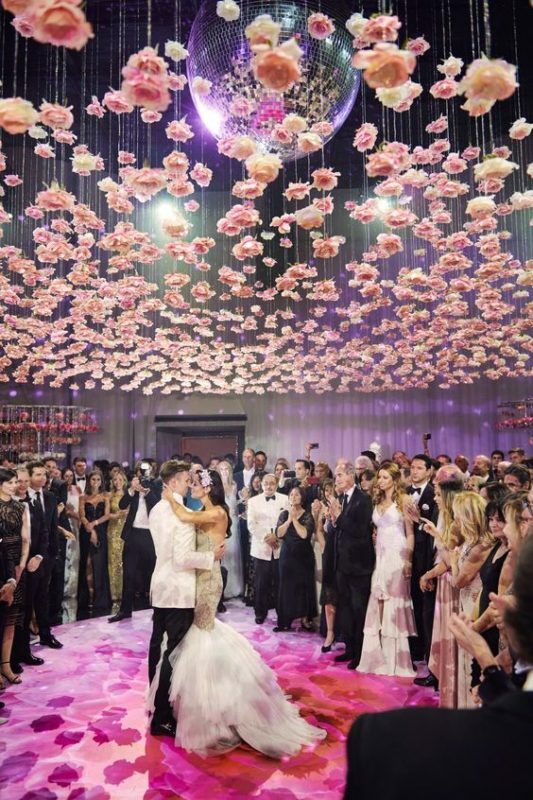 Beautiful blooms are a classic wedding staple and some couples take it to the extreme with over the top, downright ostentatious installations that leave their guests in awe. 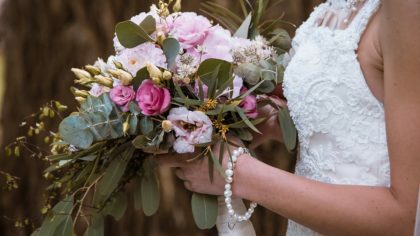 We’ve come a long way from using wedding bouquets to ward off evil spirits or even mask body odours (it’s true! 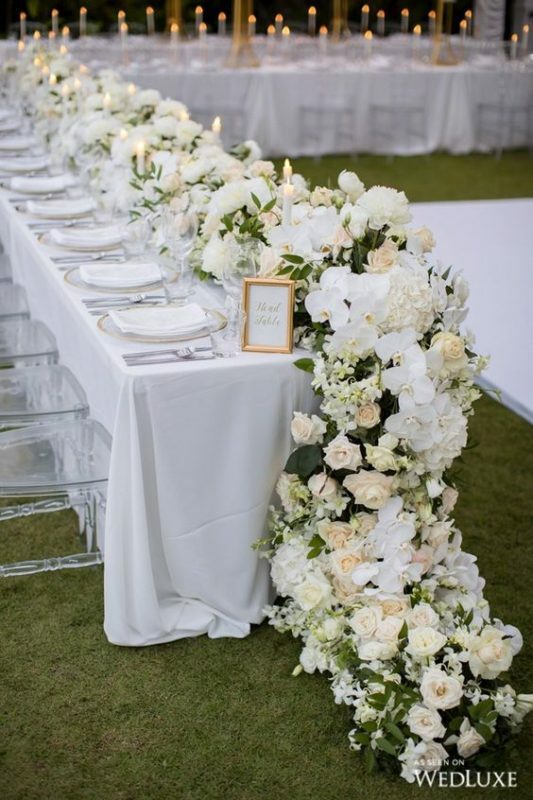 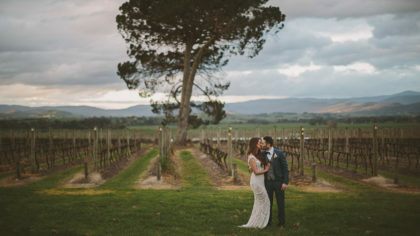 ), now couples choose their favourite perennials the enhance the overall look of their celebration, match their colour scheme or even create a magnificent centrepiece during their ceremony or reception. 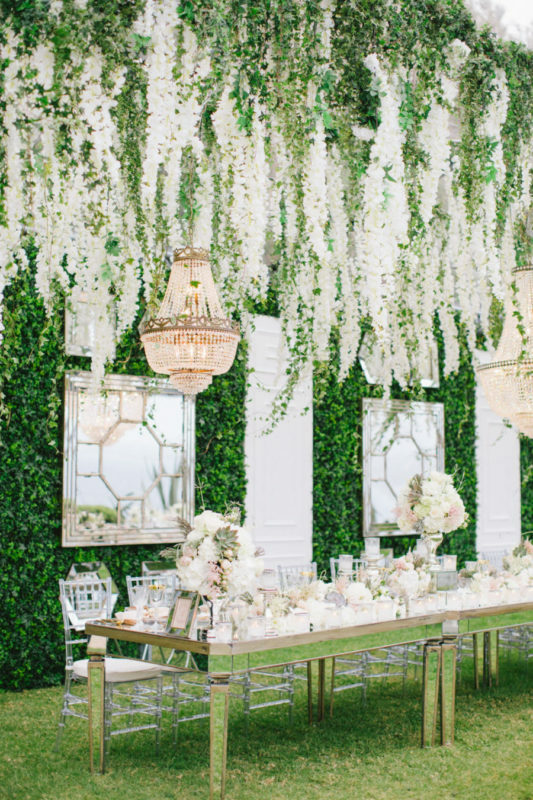 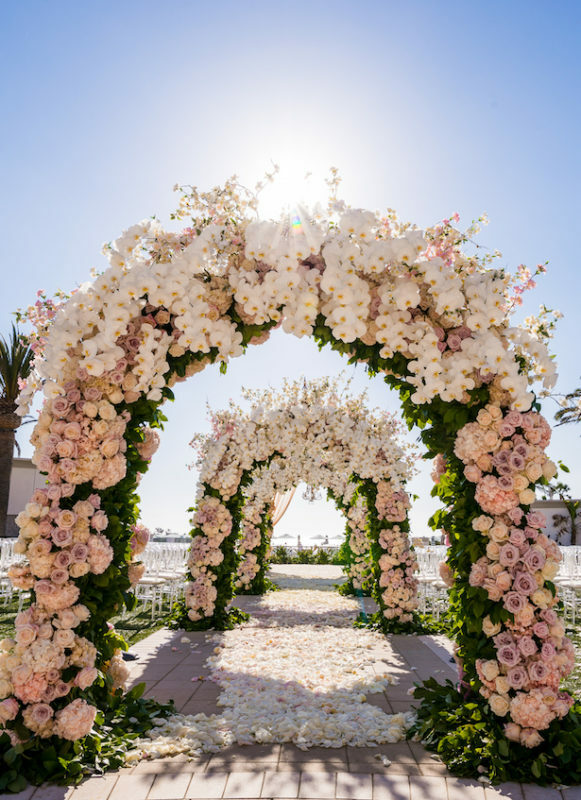 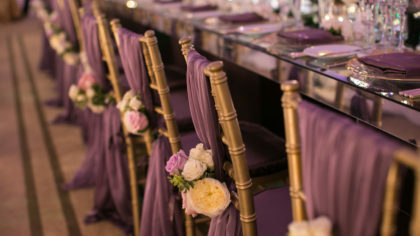 Think roses hanging from the ceiling or fluffy flower table runners cascading over the table edge… These show-stopping creations produce a dreamlike atmosphere that would make any guest fall in love with your special day. 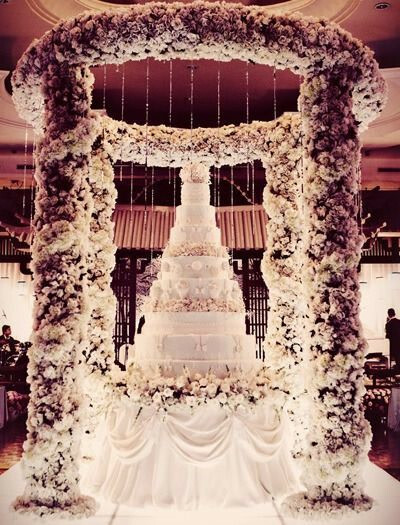 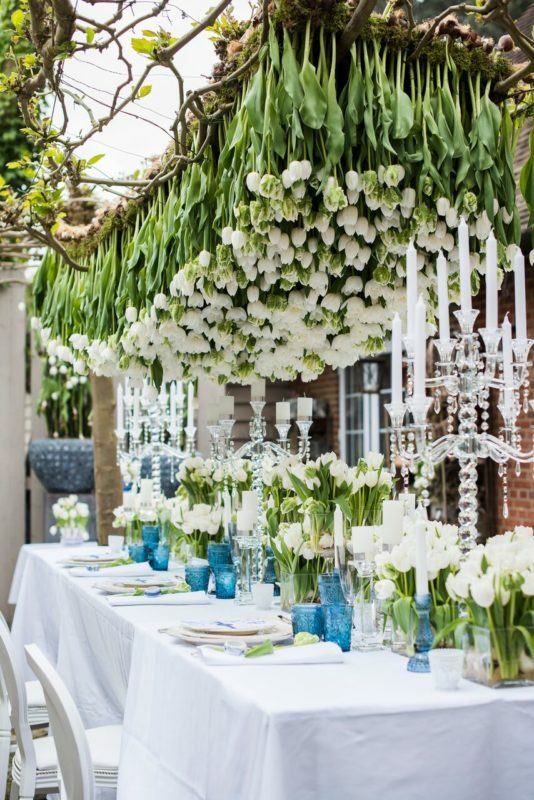 Take a look at these fabulous flower installations that are so over the top we just can’t get enough!